Every-so-often, I stumble across a worst-case-scenario story that reminds me just how serious an injury a broken foot or ankle really is. Today is one of those days. Last week, final toxicology reports from the New Orleans coroner revealed that a woman who died last October was, in fact, killed by her broken ankle. Apparently, the woman’s abusive boyfriend caused her initial injury by repeatedly smashing her leg with a crock pot insert. Ten days later, a blood clot broke free from the site of the fracture and traveled up to her heart, where it killed her. Clearly, this was not your average ankle break. However, there is an important message to take away from this tragic story. If not treated quickly (or if improperly set), a broken bone in your foot or ankle can lead to blood clots that, in many instances, become fatal. Not seeking immediate treatment for a suspected fracture can, as you see, actually kill you. 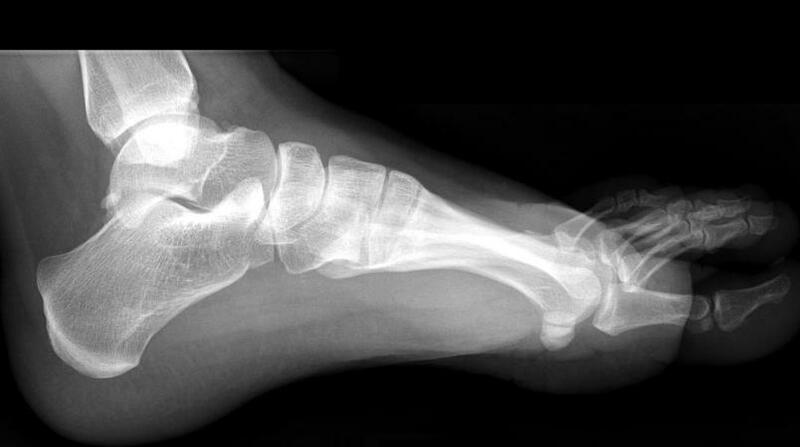 If you have been injured and suspect that there is even the slightest possibility that you’ve broken a bone, it is of utmost importance that you get your foot or ankle x-rayed as soon as possible. In my Houston podiatry practice, I am able to take x-rays, set and cast broken bones, all with a much quicker turn-around time than your average emergency room. Don’t wait: see Dr. Andrew Schneider immediately after you get hurt to avoid further complications.